For decades, we’ve heard about the high costs of health care. But, when was the last time you took Fido to the vet? Pet care and pet health is rising exponentially as people are more and more inclined to treat pets like cherished members of the family. In fact, MSN Money estimates that of the nearly 45.4 billion dollars Americans spent on their pets in 2009, nearly 27 percent of that staggering figure was for veterinary care and expenses. Unfortunately, more people are traveling with their pets by car, boat, planes, and trains and when accidents occur, pets are often victims as well. Without pet insurance for these emergencies, you’ll find yourself paying for your pet’s vet bills out of pocket. Ouch! Who Really Needs Pet Insurance? 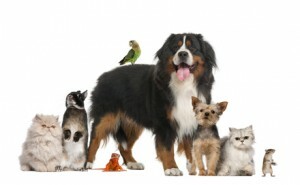 The bottom line is that if you have a pet you take out of the house and around town with you, you need pet insurance. The only requirement for Progressive’s pet insurance coverage is that you have comprehensive and collision coverage for one vehicle on your policy. This policy even works if you’re in another vehicle when the accident and subsequent injury to your pet occurs. The real beauty of pet insurance through Progressive is that you don’t have to jump through a bunch of hoops to get it. All you need is to have one vehicle covered for comprehensive and collision, as mentioned above, and your pet is covered. There’s no extra charge for you and your dog or cat to receive pet insurance. The coverage is for up to $1,000 if your pet is injured as the result of an accident, fire, or theft. Veterinary care can be extremely expensive, especially if surgery is involved, just as it would be for human surgery. Pet insurance serves to take a bit of the bite out of those high costs to help you get your pet back on its feet and in full working order quickly after an accident. Joe DiCesare has been in the insurance business since 1987 and during that time he has helped families from all walks of life find the insurance coverage and protection they need. Give him a call today to see if your existing insurance policies provide adequate protection and coverage for your family, your home, and your precious pets.